Search engine optimisation is an integral component of any comprehensive digital marketing strategy. The SEO landscape is consistently in a state of flux, however, with new developments and techniques becoming more relevant and effective, as others become less so. 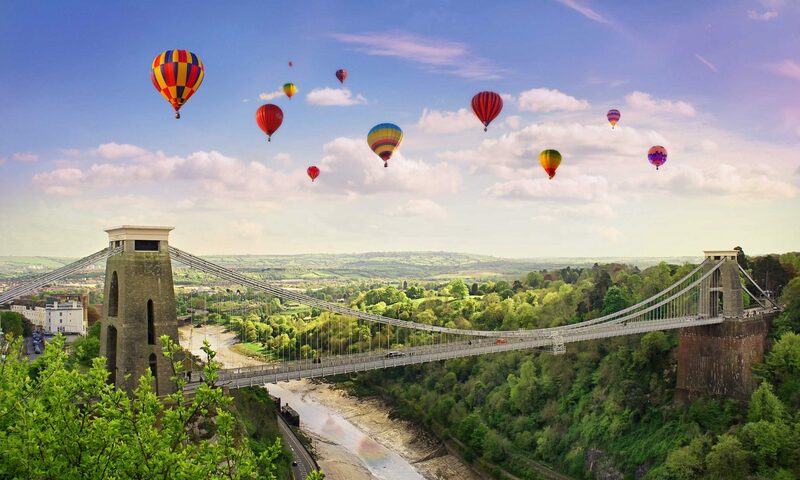 In this article for Bristol-Online.com Superb Digital head honcho, Paul Morris, gives us the low down on SEO trends that have been making waves in 2018. Although it was once possible to convince Google into believing a website contained high-quality content when it didn’t, the search giant has made significant algorithmic alterations to curtail this practice. This is excellent news for businesses, brands and publishers who are investing in valuable content but if you want to make a real impact in search engine results pages (SERPs) and stand out from your competition, optimising for relevancy is crucial. There are many individual components that contribute to Google’s process of measuring content quality, one of which is Latent Semantic Indexing. This method looks at billions of web pages, identifies specific terms that are repeatedly referenced and begins to build probabilities surrounding the keywords and terms that are likely to appear in a comprehensive piece of content. It is looking increasingly probable that Google will eventually begin to use its RankBrain technology to dive a bit deeper into the analysis of highly-performing search results. The identification of shared features here may lead to certain terms becoming query-specific signals that will be used to rank web pages for particular search terms. As recently as August 2018 Google has made significant updates to its algorithm with regards to the relevancy of content to the intent of a user search query. This has led to a number of web pages and websites seeing big drops whilst others have seen great gains. The combination of increasingly intelligent voice search technology and consumers’ desire to interact with digital assistants is presenting businesses with the opportunity to share information with audiences in new ways. Voice currently accounts for 1 in every 5 searches but that will increase sharply to 50% by 2020. The intelligence of Amazon Echo is consistently increasing, having developed more than 30,000 skills between mid-2015 to early 2018 and Google’s own word accuracy is currently sitting at an impressive 90%. The wide adoption of smart speakers should be taken as a strong indication that exploring this route will yield tangible results. Amazon’s Echo Dot was a best-seller over the 2017 holiday period, half a million Google Home units were shipped in 2016 and the total number of households in the US with a smart speaker increased by 50% in just 5 months from June to November 2017. In a recent survey by Google, more than 70% of people with a smart speaker report that they use their device every day so there is a very real opportunity to connect with audiences in increasingly seamless and meaningful ways. Businesses wanting to capitalise on this voice search revolution will need to implement a dedicated strategy that focuses on natural language, conversational tones and the targeting of relevant long-tail keywords. The practice of link building certainly isn’t going anywhere anytime soon, however going forward it is going to be imperative to focus solely on securing links of the highest quality. If a link will not directly help you to build your authority in your niche or specifically add value to your digital presence, it will be best to think about channelling your efforts elsewhere. Although the most valuable links won’t always come from the most popular web pages, it is crucial to begin viewing your link-building approach as a long-term strategy to guarantee that earned referral traffic that will contribute positively to your organic rankings. By both establishing and nurturing industry connections as part of your link-building strategy, you will be putting your business in the best position to secure important long-term benefits. Ensuring that any strategy you pursue is suitably diverse will be key, especially as Google begun to issue warnings to publishers relying on guest posting a little too heavily. So, moving forwards, aim for a complete backlink profile comprised of highly valuable links to drive the successful results you want to see. We are currently in the midst of a really exciting time for SEO. Traditional techniques are still delivering results but innovation is key for businesses wanting to push ahead and secure a slice of success ahead of the competition. Although it might feel like an impossible task to keep up with the latest trends and strategies, understanding how to utilise the power of SEO to drive tangible results for your business is critical if you want to stand out from the crowd and maximise the potential of your digital presence. Keeping an eye on emerging strategies can put you ahead of the curve and give you the edge over the competition so it pays to have the inside knowledge on these upcoming trends.